In celebration of the 60th anniversary of the world-renowned Newport Jazz Festival® (August 1-3, 2014), the “Newport Jazz Festival®: Now 60” Tour makes a stop in New York City at the Jazz Standard, 116 East 27th Street, March 4-8. 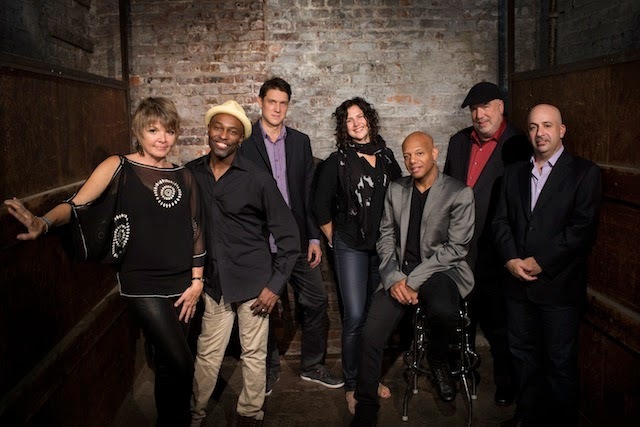 Featuring clarinetist/saxophonist Anat Cohen, vocalist/pianist Karrin Allyson, bassist Ben Allison, pianist Peter Martin, guitarist Mark Whitfield, trumpeter Randy Brecker and drummer Clarence Penn, the band has been receiving rave reviews since it kicked off a 17-city tour on February 8 in Atlanta. The first leg of the tour winds down March 30 and will continue with more dates during June, July and August in North America and Europe (including a set at its namesake festival on August 2). Set times at the Jazz Standard are 7:30 pm and 9:30 pm on March 4-6, with an 11:30 pm set added on March 7-8. For tickets and more information, call (212) 576-2232 or visit www.jazzstandard.net.